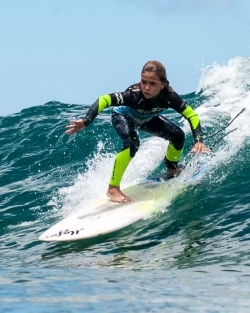 Good choice for beginners or intermediate level surfers who want to continue learning and improve their surf skills and take them to the next level under the constant supervision of well-trained, certified and experienced instructors. Suitable for ages 7 to 13. 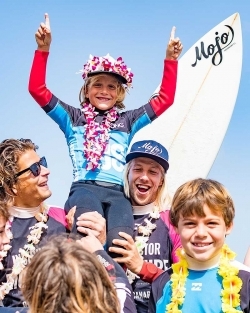 The most original way to celebrate your birthday as a surf champion. It will be the most fun meeting surfing with your friends, who will remember your whole life. A great day learning to catch waves with Mojosurf at the Billabong school in Gran Canaria. Surf lessons for schools in a great environment, Canteras Beach. From 7 years of age. All equipment needed to participate and instructors included. Get in touch with Mojosurf and we’ll calculate the cost based on your own particular requirements.